. . . 'jFormTK' Databases . . . 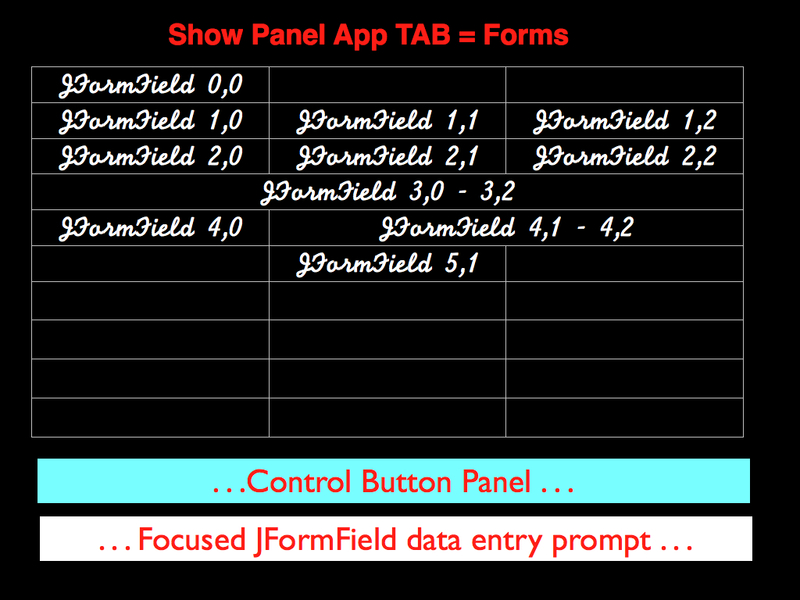 The jFormTK user interface is designed to make the navigation between the various Application Data Entry Forms and Analysis Functions as simple as possible. Most jFormTK Custom Applications will consist of numerous Data Entry Forms. For example, the PCS Survivors List PLUS Application has28 Data Entry Forms presented to the Application end user. This document is designed to describe the jFormTK’s "User Friendly Framework", i.e. the various parts of the of the windows presented to the Application user. 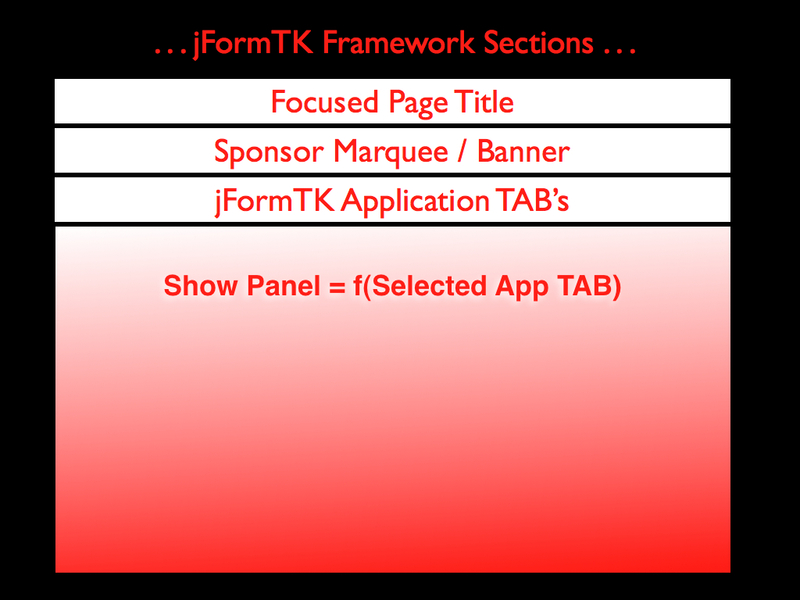 The "Focused Page Title" section is designed to specify which jFormTK TAB has the focus. This feature is most useful when the "Forms" TAB is selected because the currently selected application Form Name is displayed in this area. Application Label . . .
"Display a line with the Application Commercial Sponsor message." Scrolling Test . . .
"Scrolling text with the Application Commercial Sponsor message." "Replace Sponsor message with 'Debug' Menu items. Used by the 'jFormTK' Application developmant team during the "Development" stage."